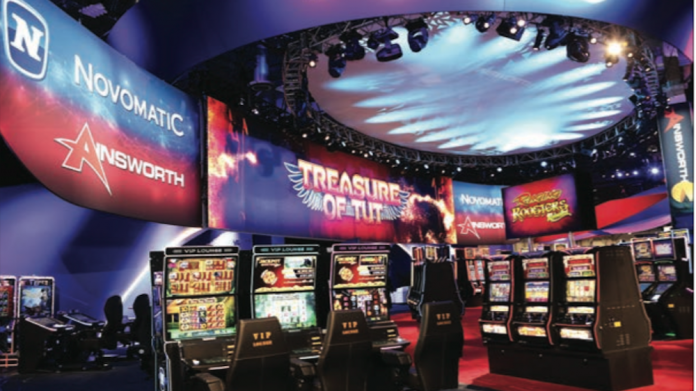 Novomatic’s extensive product range featuring brand new games and game mixes, a series of advanced cabinets, progressive jackpots, ETGs, sports betting and system solutions, and online gaming developments will be on display for the US and surrounding markets at G2E 2018. With Novomatic set to present its wide-ranging portfolio of solutions at G2E Las Vegas this October, commercial and tribal gaming operators will have the opportunity to explore how the company’s award-winning technology can boost their operations. “The player entertainment experience is most important and good content is king,” stated Rick Meitzler, CEO of Novomatic America. 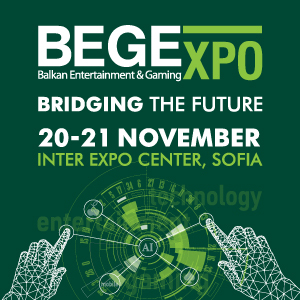 “With new titles, innovative progressive product lines and electronic table game solutions it’s going to be a fantastic show for us. The Novostar V.I.P. 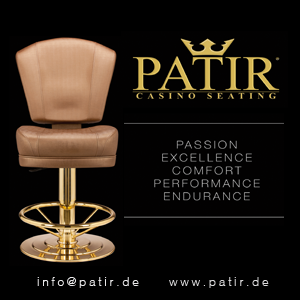 3.50 cabinet with Python Chair will present a new IP title for casino markets at the show – MacGyver. Offing progressive jackpots, the new title is based on the hit 80s TV show, staring Richard Dean Anderson. From Dusk Till Dawn will also be returning to G2E, while both IP titles will additionally be presented in a compact style on the V.I.P. Lounge 2.32 cabinet. Meanwhile, the Enchanted Fortunes Linked Jackpot will show progressive themes from the Fortunes series, new Otium bingo games will be on display, and leading multi-game mixes will be presented – with new mixes for the Illinois and Pennsylvania VGT markets, and a newly designed mix targeting Latin America. 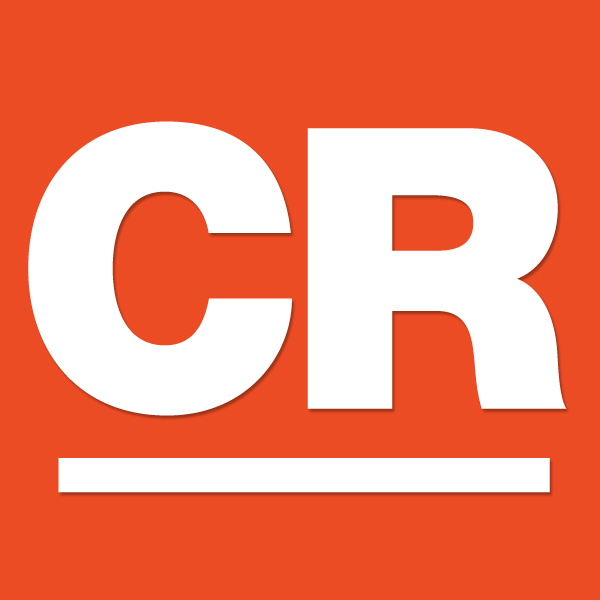 “This will be a breakout year for us in the VGT market as well, with the planned launch of our Octavian myACP system and new game suites for both Illinois and Pennsylvania. 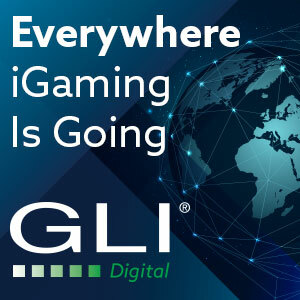 Look out for us at G2E – we have the right team and I’m excited to show off our great product selection,” Meitzler added. Electronic Table Games based on the Novo Line Novo Unity II platform have been growing their US footprint, and at G2E, automated, virtual and live versions of popular table games will be presented with two automated roulette wheels and a live Baccarat table to demonstrate variations of the system. 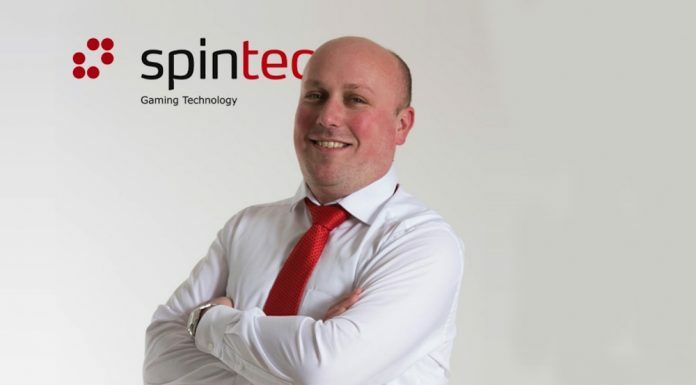 Joining Cammegh Spread-Bet Roulette, new Black Jack and Baccarat Spread-Bet side bets make their debut at the show, while prominent signage from Novomatic Media Technologies will round-off this year’s ETG display. Recognising a large-scale opportunity in sports betting has proved fruitful as the US sports betting market is now open for business. Novomatic has teamed up with Sportradar to co-develop a line of sports betting products and services that will be demonstrated on a special area of the company’s stand dedicated to sports betting. Another designated area for systems will display the scalable and modular Octavian myACP casino management system. 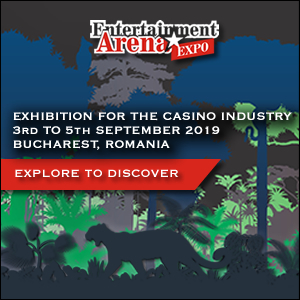 Greentube online content will feature in the Novomatic Interactive area with titles such as Almighty Reels – Realm of Poseidon, Jaguar Moon, Steinhaus, and Asian Diamonds being some of the many highlights. 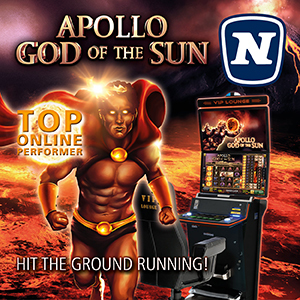 Online versions of Novomatic slots popular in the US land-based market – featuring From Dusk Till Dawn and the Tales of Darkness series with Lunar Eclipse, Full Moon and Break of Dawn themes – will demon- strate a range of omni-channel offerings. Sharing the stand with Ainsworth Game Technology, majority owned by Novomatic, the portfolio will include the company’s Class III, Class II, Washington State and Historical Horse Racing product lines. 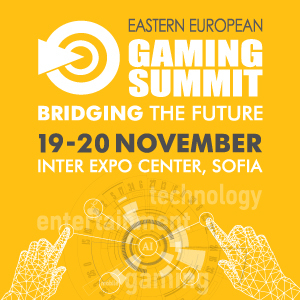 On show will be a selection of new stand-alone and linked games, new titles on the A640 cabinets, online gaming content, the upgraded EVO cabinet that makes its North American trade show debut, and new linked progressive brands, including the brand new Pac-Man Link series.